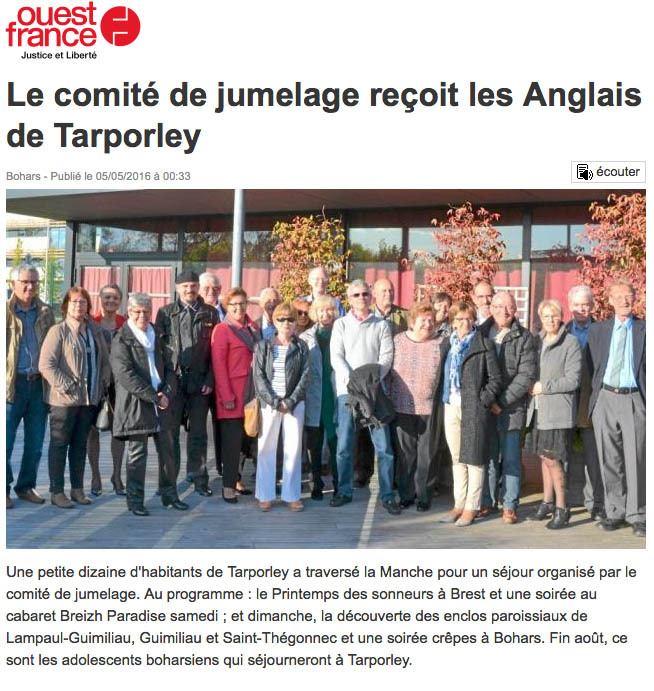 “Clement came to Tarporley on his first exchange as a 12 year old with his older brother. He couldn’t wait to use his pocket money on the fruit machines at Alton Towers and spent it all, ammassing about 20 cheap lighters. On his next visit 2 years later the money all went in Liverpool football club’s shop. I had got to know his parents quite well, and when I told them what was hapenning, they simply said that he would learn. Well, he did, got good school results, and was studying a chemistry-based subject at university. However, when he needed a placement for 10 weeks, he couldn’t find one in France. So he used the confidence he had got from Twinning, and found a 10 week placement working in the chemistry laboratory in Liverpool University, and has landed on his feet getting offers to stay long term in luxury appartments where Liverpool footballers live and, more to the point, getting job offers with multi-national companies.